I’m sure my relationship with the Blue Anchor, a tiny Helston pub replete with uneven granite floors, close ceilings and a thatched roof embellished with an anchor, is much the same as many others who have grown up in the small Cornish town. As a child I spent afternoons running around the beer garden with the fellow kids of parents gasping for a cider to quench a summer’s thirst. In my teens we’d nag at parents, older siblings or friends of a friend to try and get a pint bought for us. If any of us found success, we’d pass around the hallowed nectar as if it was the holy grail; all taking sips and pretending we were far drunker than we could possibly be from a fifth of a pint of cider. For the past 18 years, thousands of patrons have descended on the Blue Anchor each July for the Helstonbury charity festival. When we were older, not quite 18 but able to pass for it if we stood a little straighter and ordered our drinks with confidence, we’d descend upon the beer garden of the Blue for the annual Helstonbury festival. We’d spend the weekend packed into every corner of the pub like sardines, listening to local performers showcase their talents on makeshift stages of pallets and kegs. On the closing Sunday, as day turned to night and the full effects of the Spingo took over the crowds, the noise would inevitably swell as we all accompanied Helstonbury staple Bob Love in a slurred chorus of ‘Delilah’. The historic pub has been a fixture in the town for over 600 years and, helmed by Simon and Kim Stone over the last 25 years, it’s has become renowned across the county for its home-brewed Spingo ale and live music; particularly the annual Helstonbury festival. The Blue Anchor is where myself and many Helstoners before me learned to drink, to varying degrees of success, and it holds a special place in the town’s collective heart. However, while my fellow comrades in Spingo and I love nothing more than sway to the sounds of local music talent in the fading heat of the summer sun, not everyone in the town is so inclined. A noise complaint row has been raging over the volume of the pub’s live music since 2017. Nearby residents, who are suspected to have moved into the area around the time the complaints began, have appealed to Cornwall Council to investigate noise levels. Blue Anchor owners Kim and Simon Stone shared the letter they received from Cornwall Council on the pub’s Facebook page. It must undoubtedly be frustrating to have your quiet Saturday-night-in disrupted by thumping drums and thrumming guitars, especially if you have young children. But, if you’ve moved into a home near to a renowned local music venue, how much of a right do you have to complain about noise levels you knew to expect? In recent weeks, the tensions have reached new heights with the Blue Anchor sharing on Facebook a letter they received from Cornwall Council. 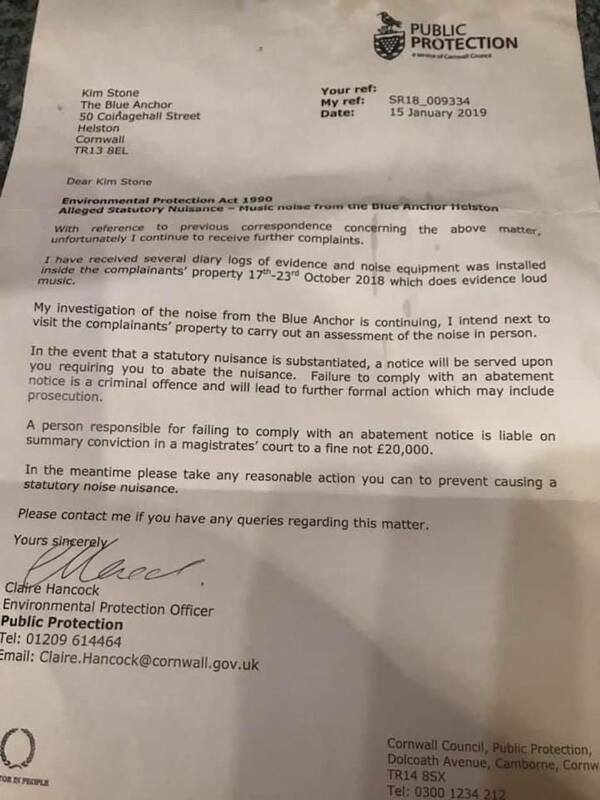 It states that if the pub does not take reasonable measures to control noise levels, they may be served with an abatement notice and ultimately could face criminal charges. It’s safe to assume that it’s Helstonbury weekend which sees the biggest crowds flock to the pub each July and perhaps adds to the noise frictions. The festival, whose name is a riff on Glastonbury, began life as a one-off charity gig in 2001 to raise money to help a local young woman purchase an electric wheelchair. 18 years later, the festival has raised over £75,000 for charity and has become a staple in the town’s events calendar. 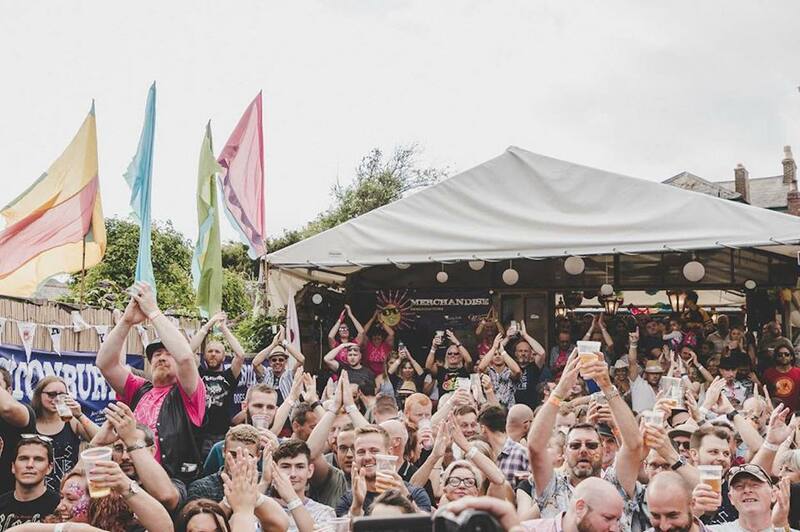 The cider and Spingo fuelled three-day festival draws in thousands of patrons to the pub every year. Yes, space gets tight. Yes, you have to shout over the noise of the bands. And yes, some people take things a little too far. But I’d argue no worse than anywhere else at kicking-out time. If the noise complaints aren’t resolved and the Blue Anchor were to stop hosting live music, Helston will lose an integral part of its identity. Paul Turton, the organiser of Helstonbury is in agreement. Whether hunkered down in the front bar with a pint of Spingo to fight off the winter chill or stood out in the beer garden with a cider swaying in the summer sun, the Blue Anchor is never short of loyal patrons. However, the accompanying live entertainment they’re used to could soon be a thing of the past if the pub and its neighbours can’t reconcile this debate. 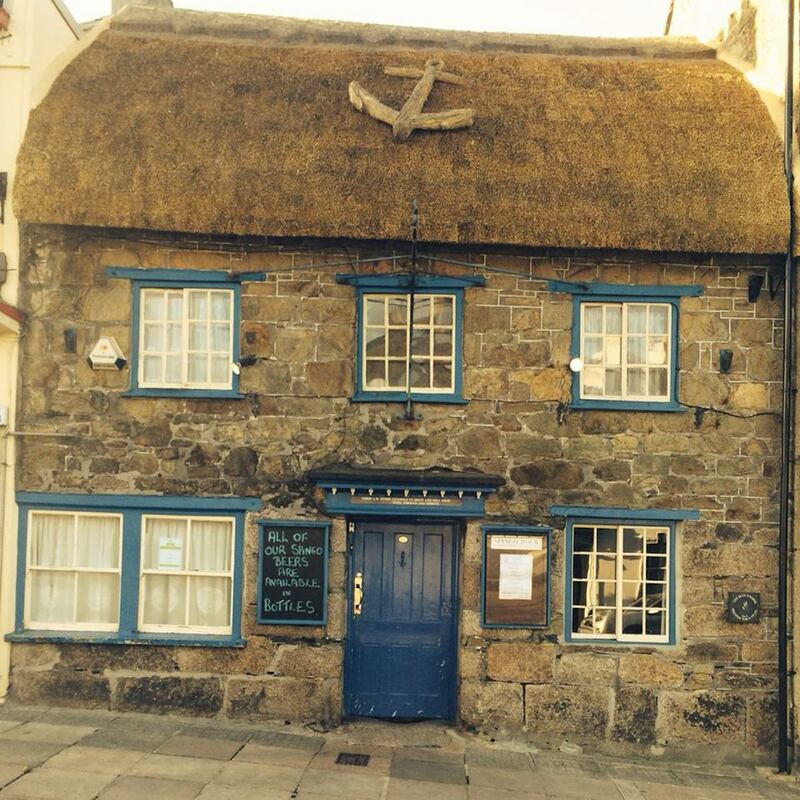 The historic Blue Anchor Inn has been a feature of Helston’s main street for over 600 years. Occasionally, as the sun sets on warm summer evenings, if the wind is just right, I can stand at my back door and hear glimpses of live music wafting up from the Blue. The noise never bothers me, I find myself straining my ears to try and identify which song is being belted out. For those few minutes, I feel immersed in the atmosphere of the Blue, a part of the crowd; I can imagine I’m there, pint in hand like the rest of them, despite being over a ten-minute walk away. In moments like that I wonder who could begrudge the people down there, voices raised in a chorus of some cover or other, for spending their night indulging in drink and (usually) good music? But then again, I can simply close the door and the noise fades away.